The Marvel Cinematic Universe was born from an Easter egg. 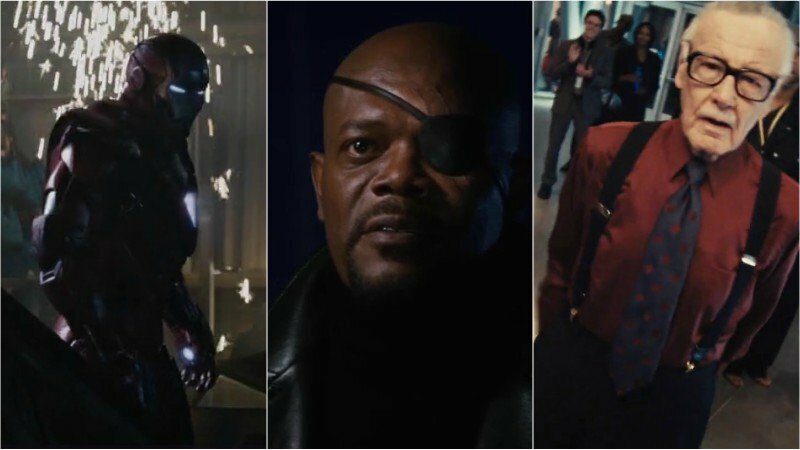 The credits rolled on 2008’s Iron Man and another scene began to play, Samuel L. Jackson stepped out of the shadows and spoke to Robert Downey Jr.’s Tony Stark about something called The Avenger initiative, and the rest was history. Since then, the entire MCU has built on each other and layered each entry with enough Easter eggs to fill a basket. There are almost too many Easter eggs in the entire MCU to catalogue in one place, so we’re going to be splitting them up by the various franchises in the MCU, starting with the three Iron Man movies! Iron Man kickstarted the Marvel Cinematic Universe in May of 2008 and marked Robert Downey Jr.’s first appearance as Tony Stark. The film was directed by Jon Favreau, whose previous credits at the time included the crime movie Made, the Christmas comedy Elf, and the adventure film Zathura. It also starred Terrence Howard, Jeff Bridges, Shaun Toub, and Gwyneth Paltrow. Iron Man 2 followed the film just two years later, featuring the debut of Scarlett Johansson as Black Widow, with Sam Rockwell as villain Justin Hammer, and with Mickey Rourke (fresh off his Golden Globe win for The Wrestler) as villain Ivan Vanko. The film also marked the debut of Don Cheadle as James Rhodes, aka War Machine, replacing Terrence Howard. Finally, Iron Man 3 debuted in 2013, the first Marvel Studios movie released after the massive success of Marvel’s The Avengers. Director Shane Black stepped behind the camera for the film, just his second directorial effort after Kiss Kiss, Bang Bang (which also starred Robert Downey Jr.). The movie is still the fourth-highest grossing film in the MCU to this day, behind the two Avengers films and Black Panther.